At Sunray, we are leading designers, manufacturers and installers of steel doorsets and louvre products, suitable for a variety of applications. 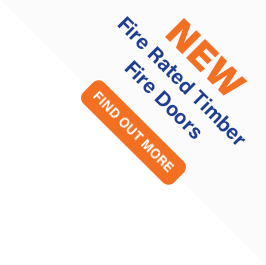 We provide high quality and comprehensive steel door products to companies across the UK; all of which are designed and manufactured at our site in Ashford, Kent. Through our comprehensive steel door production facility, we manufacture a wide range of products: from ventilated doors, louvred doorsets, grilles and fire doors for commercial and industrial applications, through to a variety of certified security doors, window grilles and security louvres. With a variety of vision and ventilated panels, powder-coating and locking options available across our product range; Sunray doors provide an unrivalled level of flexibility in terms of functionality and design. Our market-leading range of security doors, grilles and louvres have been third-party tested and certified by the Loss Prevention Certification Board (LPCB) to Loss Prevention Standards (LPS) 1175 Issue 7, from levels 1-6. Designed to provide extremely high levels of intruder resistance; our security range is ideal for sites where asset protection is of paramount importance. At Sunray, we recognise that every project is different, and we pride ourselves on working with our customers to provide high quality, flexible solutions that they can trust. Through our bespoke design service, we create physical solutions that respond to specific project needs, and help to overcome site or building constraints.